there are always whoops for joy. We actually all love this dish, I serve it with a side salad and it makes a wonderful dinner. In a medium saucepan, melt butter or margarine over medium heat. Stir in enough flour to make a roux. Add milk to roux slowly, stirring constantly. Stir in cheeses, and cook over low heat until cheese is melted and the sauce is a little thick. Add the cooked macaroni into the cheese sauce. Stir well and transfer to a casserole dish. Melt butter or margarine and a pic of paprkia in a skillet over medium heat. Add breadcrumbs and brown. 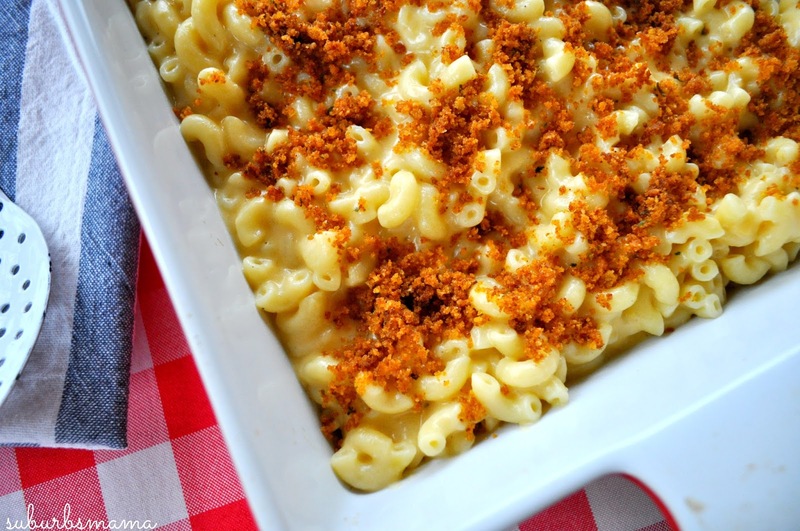 Spread the crumb topping over the mac and cheese.